Over the past five years, under the rubric of ‘Belt and Road Initiative’ (or ‘Silk Road,’ or a maritime ‘String of Pearls’), China has poured many tens of billions of dollars into building ports, dams, highways, railroads, and power plants in developing countries in Central and South and Southeast Asia, the Indian Ocean region, Latin America, Africa, and even in Europe. These huge projects always use Chinese companies and workers. Not foreign aid, they are nominally commercial deals to be paid for by the recipient, most of which are unable to do so. Major highways are aimed at tying countries to the Chinese economy. Large port facilities built by China in Sri Lanka, Pakistan, Malaysia and Djibouti on the Red Sea facilitate China’s trade and naval operations, thereby having national security overtones. Until recently, overshadowed by other issues, the BRI is now alarming Washington. Vice President Pence has spoken of China’s “debt trap” strategy drawing these countries into its orbit as we try to develop a counter-strategy. Jonathan Hillman is the author of numerous analyses of the Belt and Road Initiative, contributing also to The New York Times, The Washington Post, The Wall Street Journal and other major papers. 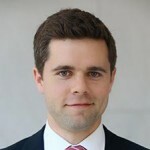 He is Senior Fellow of the Simon Chair in Political Economy at the Center for Strategic and International Studies (CSIS) and Director of its Reconnecting Asia Project. CSIS is a premier think tank in Washington. Prior to joining CSIS, he was policy adviser at the Office of the U.S. Trade Representative, overseeing research and writing on U.S. trade and investment policy. He is a graduate of Brown University and of Harvard Kennedy School. He was a Fulbright Scholar in the Central Asian republic of Kyrgyzstan and a researcher at the Council of Foreign Relations. The World Affairs Council of Charleston hosts six speaking events each year, three in each the spring and fall. During those seasons, find information about each upcoming speaker, and the date and time of the event on the website here.